A young hobbit accompanies a group of dwarves to reclaim their mountain home from a dragon in The Hobbit: An Unexpected Journey. On his 111th birthday, Bilbo Baggins (Ian Holm) decides to write his memoirs for his young nephew, Frodo (Elijah Wood). He describes how the dwarves lost their home in Lonely Mountain to a fearsome dragon named Smaug. 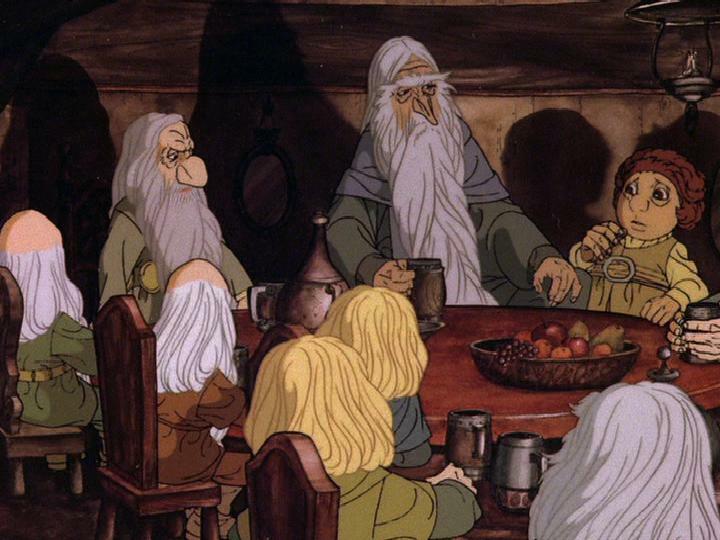 A younger Bilbo (Martin Freeman) is tricked by wizard Gandalf (Ian McKellen) to hosting dinner for thirteen dwarves, led by Thorin Oakenshield (Richard Armitage). Bilbo is enlisted for his role as the ‘thief’ although he has never stolen anything in his life. After a change in heart, Bilbo decides to make the journey to help the dwarves and the group sets out for Lonely Mountain. There are a few things that I need to get out of the way about The Hobbit: An Unexpected Journey – the 3D 48 frames per second treatment, the need for three movies, and how it compares to Lord of the Rings. First, the native 3D 48 frames per second filming of The Hobbit is a first in the industry. Doubling the rate of a standard film at 24 fps, the initial reaction to The Hobbit is a bit jarring of an effect. I suspect that a few of the scenes were not actually shot in 48 fps and were sped up to this speed. I say this because early on, there are some camera pans that seem incredibly, almost comically, fast. A few of Ian Holm’s movements seem jagged and weird too. I’m not sure if my reaction is simply because I hadn’t adjusted to the speed or if I’m correct and they were artificially increase in post-production, but I will say that I was quite pleased with 48 fps about 90% of the time and it is likely the future of cinema. The use of 3D is absolutely splendid as well. Since Peter Jackson is interjecting backstory from other Tolkien works, apparently namely from The Silmarillion, in The Hobbit. While this doesn’t bog down the story for An Unexpected Journey, it does beg the question why The Hobbit, a relatively short book, needs three movies. In my opinion so far, it doesn’t. There are a few parts that slow down the pacing and there are some scenes that seem entirely superfluous. Yes, the extensive Tolkien mythology is bolstered, but keep that stuff in special features on a blu-ray set or something. This first film alone is close to three hours long and knowing there are two more, likely equally long films coming is kind of off-putting. 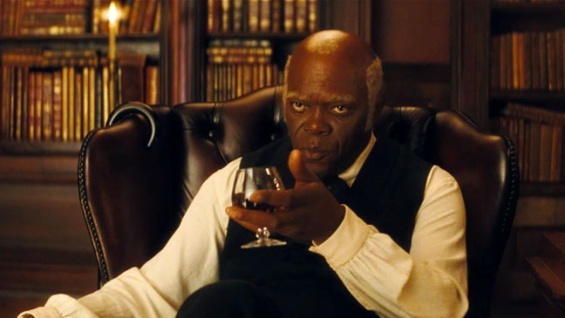 The obvious comparisons to Jackson’s epic Lord of the Rings trilogy are not entirely appropriate since The Hobbit is a much different source material than its successors. However, in practice, The Hobbit on film feels far too close to Lord of the Rings for its own good. The Hobbit is serious but it does have a bit of a sense of humor to it, which may rub some folks the wrong way. It’s a shame The Hobbit film(s) weren’t made first because it would set the stage for Lord of the Rings without relying on it instead of the other way around. In the end, I quite liked The Hobbit: An Unexpected Journey. It’s far from a perfect film on its own and I always struggle to judge a film like this as a part or as a whole. 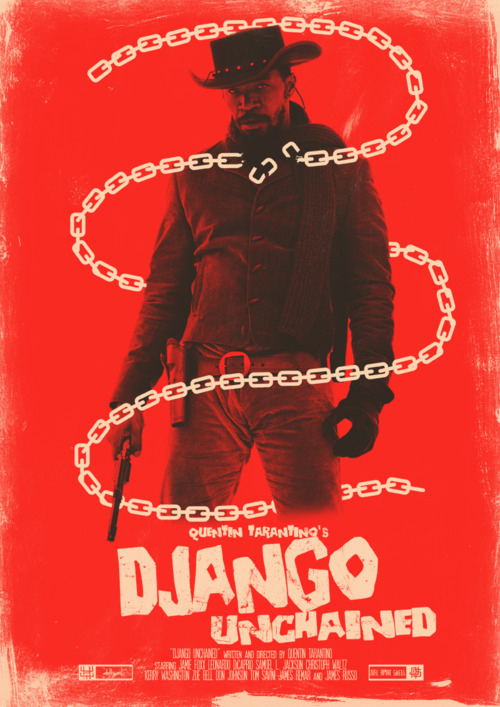 Technically, this is 1/3 of a single film and it remains to be seen if the whole thing is worthy of your time. For now, I’d recommend The Hobbit: An Unexpected Journey to be seen in 3D and 48 frames per second, but be warned that it’s no Lord of the Rings. I give it 4 animated Hobbits out of 5. A video game villain wants to be treated like a hero and jumps into other games to win a medal in Wreck-It Ralph. The game Fix-It Felix, Jr. is home to game villain Wreck-It Ralph aka Ralph (John C. Reilly) who, after 30 years of service in the same arcade, decides he is tired of always being the villain and wants the recognition of a hero. When the in-game building residents throw Fix-It Felix, Jr. (Jack McBrayer) a 30th anniversary party without inviting Ralph, Ralph crashes the party and smashes the cake. Ralph then decides he needs to win a medal to prove his worth as a good guy. Ralph learns that the new neighboring game called Hero’s Duty gives out medals to the winner so Ralph decides to leave his game in search of a medal. After taking a medal and accidentally launching a spacecraft, Ralph and the cy-bug enemy from Hero’s Duty are launched to a neighboring racing game called Sugar Rush where Ralph must retrieve his medal from Venellope von Schweetz (Sarah Silverman)by helping her win the race. Wreck-It Ralph may very well be the perfect movie for me, a video game loving movie nerd. It combines my great love of video games, hits big on nostalgia for retro gaming and arcades, and also has that great Disney touch. There are so many sly nods to video games over the past three decades that it’s easy to miss most of them. Wreck-It Ralph is to video games as Toy Story is to toys and that is perhaps the best way I can describe the movie. 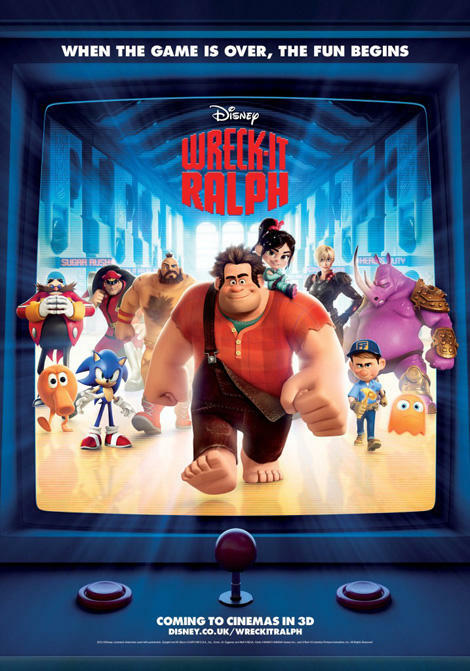 While Wreck-It Ralph relies on knowledge of some video games, it is really only for the setup of the film, once Ralph leaves his game he is in the video game worlds created for the movie in Hero’s Duty and Sugar Rush, though both of these games are heavily influenced by actual video games. I do not usually defend 3D in movies as I find it superfluous in nearly all instances, but Disney treats 3D with a sense of care. There are no gags in Wreck-It Ralph with random stuff flying at the screen just for the sake of 3D, the 3D is mostly used just to give scenes a particular depth to them. While I still could do without 3D, I would rather have it benefit the movie rather than be obnoxious. One comparison Wreck-It Ralph is destined for is how it fares against Pixar animated movies. While Wreck-It Ralph may lack that extreme level of polish, I would be surprised if people could really tell this wasn’t a Pixar movie. The story gets a bit bogged down towards the end, but the pacing never plods along. Even young kids with no real knowledge of older video games will not have the setup go over their heads. For example, there are several Q*Bert jokes that should work for all audiences, regardless of if you remember Q*Bert. Disney has a winner with Wreck-It Ralph and I hope that its a movie that remains high on people’s favorites for the studio. I think it has the potential to be a classic, though once the video game references start getting old, they will either be the good type of nostalgic or archaic. Hopefully the former, but I’m already in love with Wreck-It Ralph and can’t wait to watch it again. I give it 5 awesome official websites out of 5. A sailor, a professor, and his assistant climb aboard the Nautilus for adventure as they travel 20,000 Leagues Under the Sea. A mysterious sea monster is attacking ships in the Pacific Ocean and is halting sea trade. Professor Pierre Arronax (Paul Lukas) and his assistant, Conseil (Peter Lorre) are commissioned by the U.S. government to travel and look for evidence of the monster. After having no luck on the sea, the ship is attacked by the monster and the professor and Conseil are thrown overboard along with cocky crewmember Ned Land (Kirk Douglas). After being adrift in the ocean, the men arrive upon a strange metal submersible and realizing that it is the monster they have been looking for climb aboard looking for answers. They look outside a large porthole window and see the crew of the vessel diving in large suits. The crew comes back aboard the Nautilus and their captain, Nemo (James Mason), takes the three men as captives. As Nemo reveals his intentions, the crew of the Nautilus travel the treacherous seas as Ned plots his escape. Since this is the kickoff for Nostalgiathon, I will start by explaining why 20,000 Leagues Under the Sea is my perfect choice. As a kid, 20,000 Leagues Under the Sea was one of my favorite movies but also the movie I found the most terrifying thing ever. The giant squid that attacks the Nautilus near the end of the film made young Andy have nightmares for weeks and still effects me today. Also, the Shedd Aquarium here in Chicago had a lifesize model of a giant squid on the ceiling in one of their exhibits that would make me cry every time we went there. But even though I was terrified, I was also incredibly intrigued by the creature. To young me, 20,000 Leagues Under the Sea WAS the giant squid attacking; the rest of the movie was filler for that scene. As an adult, the rest of the film is actually incredibly smart and mature considering this is a Disney film. Ned Land acts as most the film’s comic relief since he sings songs and acts crazy, and there is also a seal that seems tossed onscreen to appease kids, but the actual plot and Nemo’s motivations are quite adult. 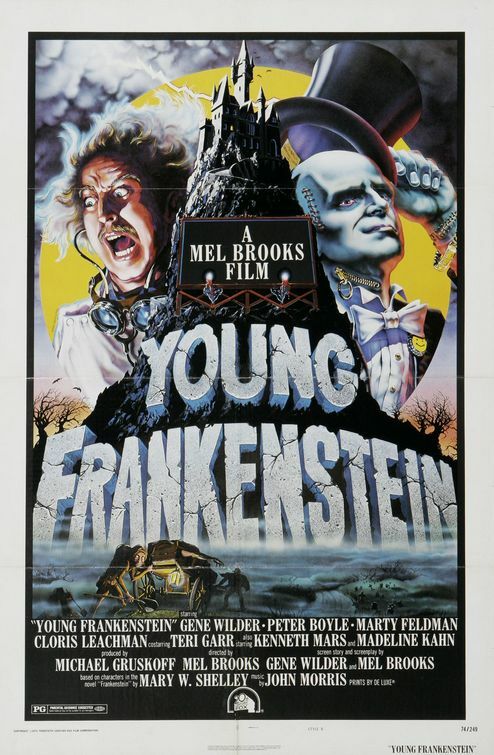 Even though I had watched this film many times as a kid, other than a few spotty things here and there, the only thing that was still burned in my brain was the giant squid attack and I’ll be honest…I still got chills from that scene as a 30 year old. Though no nightmares this time around, I’ve matured! 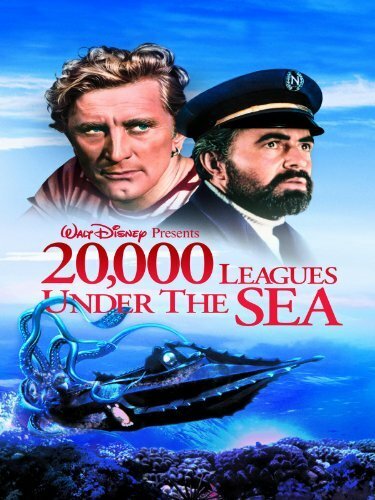 As mentioned, 20,000 Leagues Under the Sea is a Disney film, the first sci-fi film from the studio. When Jules Verne wrote 20,000 Leagues Under the Sea, submarines did not exist, which blows my mind. This was science fiction that turned non-fiction. The style of the film is also largely credited with popularity for the steampunk movement since the design of Nautilus is incredibly unique, even today. As a kid, Kirk Douglas’ over the top sailor, Ned Land, always made me chuckle and he was the only character I really remember anything about. Now, Mason’s and Lorre’s performances stick out just as much, though they are a little more subtle. 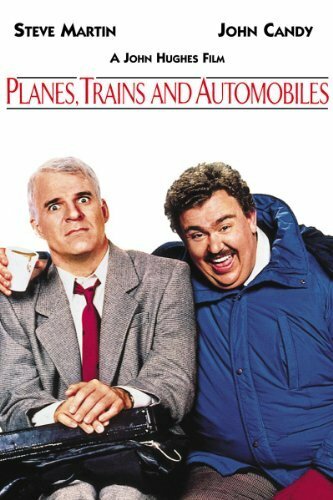 Mason as Nemo has such a dark hidden rage and Lorre is just a loveable assistant but gives a great performance. I give it 4 (what else?) giant squid attacks out of 5.